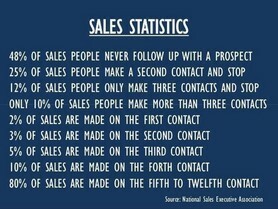 Sales is a fundamental business skill that we should strive to master—sales impacts us all. Whether you are a CEO or a sole business owner or manager, Sales Coaching helps remove obstacles that block sales performance and helps identify the actions and behaviors that will lead to improved sales results. Sales coaching is effective in helping business owners and executives overcome their fear of sales by providing one-on-one confidential training, coaching and feedback. Sales coaching is also very effective in challenging seasoned sales teams to reach higher levels of performance. Executive Passage sales coaching clients range from executive leaders, to business owners looking to fill their sales pipeline, to regional sales managers faced with increased competition requiring new effective strategic plans of action. Sales coaching includes 1-1 or group coaching and feedback, new skill development and practice in the workplace— learning by doing, which encourages and supports clients to move out of their comfort zones to overcome and master new challenges. We design results-driven sales coaching solutions to meet the unique needs of our clients. Proven Sales Leadership- Executive Passage Founder & CEO Cynthia Roney brings a solid background of professional field sales, strategic sales, marketing and business development and executive sales management. Cynthia’s business career began more than 25 years ago in sales as a Territory Manager, progressing to Assistant to VP Sales & Marketing, Manager Marketing Planning, Regional Marketing Manager, Sales Consultant, Director Marketing, VP Business Development, VP Marketing & Sales, then President, CEO and Board Director. Her sales experience includes working in large corporations selling market-leading products as well as representing emerging products developed by small biotech start-ups. She’s been responsible for sales of medical supplies and equipment ranging from $10K-$200K to raising $55M in venture capital financing as a CEO. Cynthia’s sales experience includes both products and services, ranging from sophisticated, high-end medical devices sold to top physicians around the world to innovative airline travel and professional services. Cynthia is passionate about sales, marketing and strategy….and about getting results! “I knew I had sufficient educational background and product understanding,” said Dr. Hamilton a former dentist, “but I needed to develop my sales and marketing skills, and deepen my knowledge of distribution channels.” She hired an executive coach, whom she used as a sounding board and developmental-experience designer. “My coach helped me develop marketing plans and explore the ramifications of reconfiguring our sales force. She worked with me to quickly process the outcomes of new decisions I was making.” Dr. Hamilton also attended sales-training courses and devoured books on selling, marketing and distribution. By engineering her own learning, Dr. Hamilton helped boost sales and cut expenses turning the previously struggling organization into a profitable concern.